The ultimate summer beach vacation app! 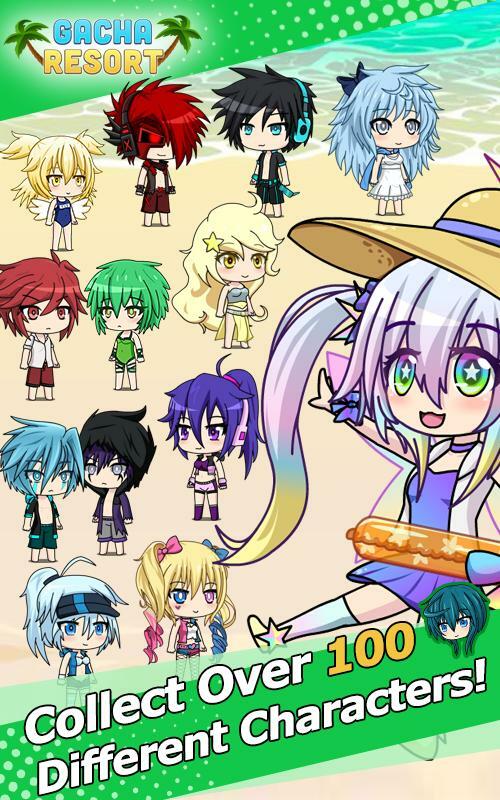 Collect over 140 different anime characters, each with their own unique swimsuit! Earn shells and gems and try your luck to gacha rare 6-Star units! Play a variety of beach mini games such as volleyball, surfing, melon smash, and more! 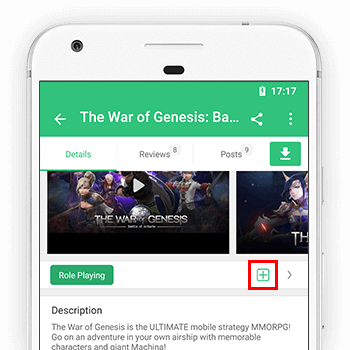 Assemble a team of your favorite characters and battle enemies in adventure mode! 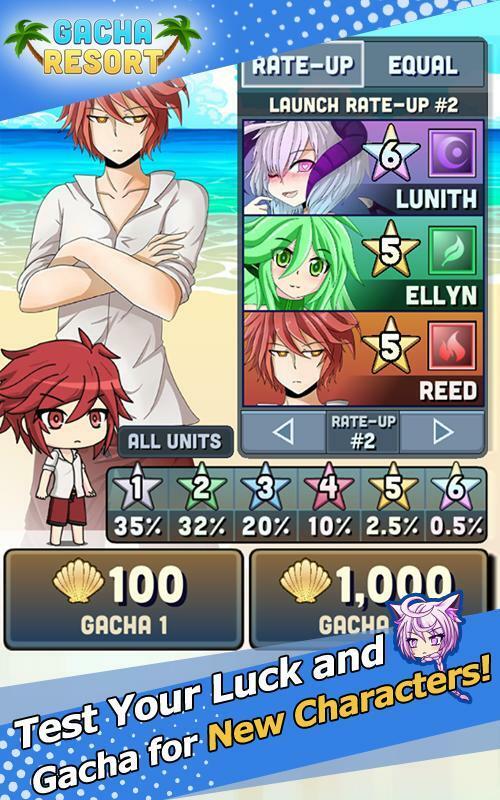 Dress up and customize your units with the hottest bikinis and swimsuits! Train your characters to increase their level, attack, and HP! 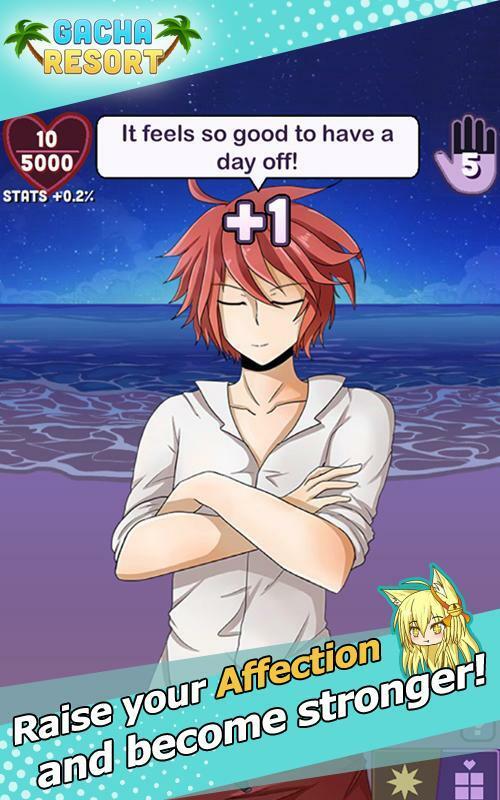 Visit the resort for some one-on-one time with your characters to increase their affection level and make them stronger! Ready to relax on the beach? Check out the shop and purchase new swimsuits, bikinis, weapons, surfboards, beach balls, tubes, decorations, and more! Every summer has a story, start yours now at Gacha Resort! ★ Gacha over 140 different anime characters, including rare legendary 6-Stars! ★ Customize your beach! Buy surfboards, beach balls, boats, and more in the shop! 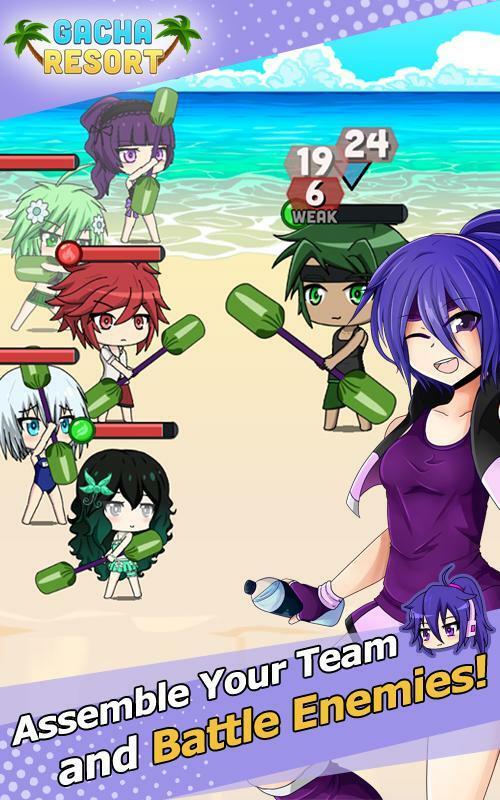 ★ Assemble your favorite team and battle enemies in Adventure mode! 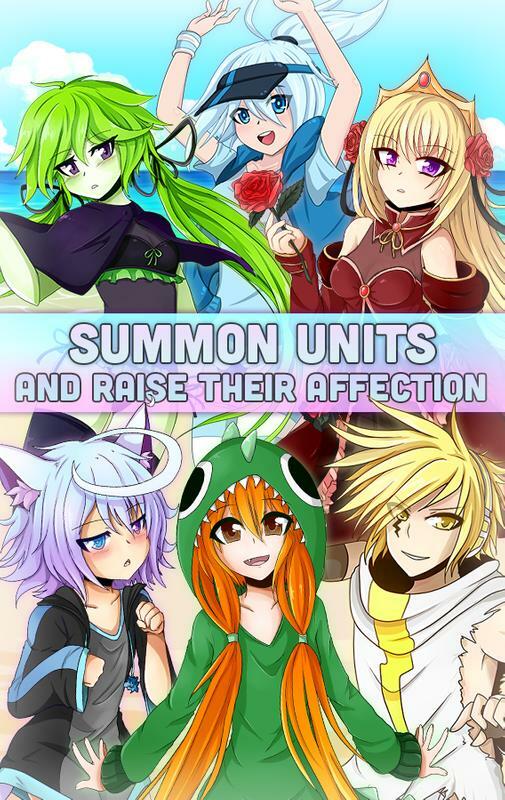 ★ Raise your character’s Affection in Resort mode, making them stronger! 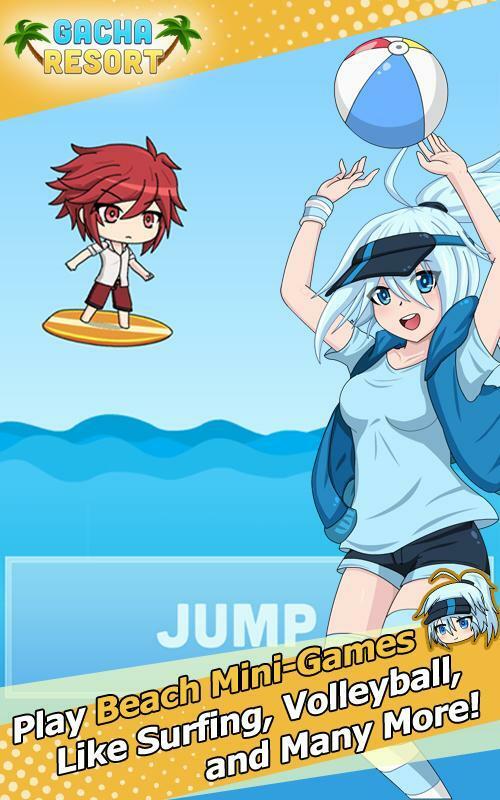 ★ Play Beach Mini-Games such as volleyball, surfing, and more! ★ Collect shells and gems in different game modes to spend at the resort! 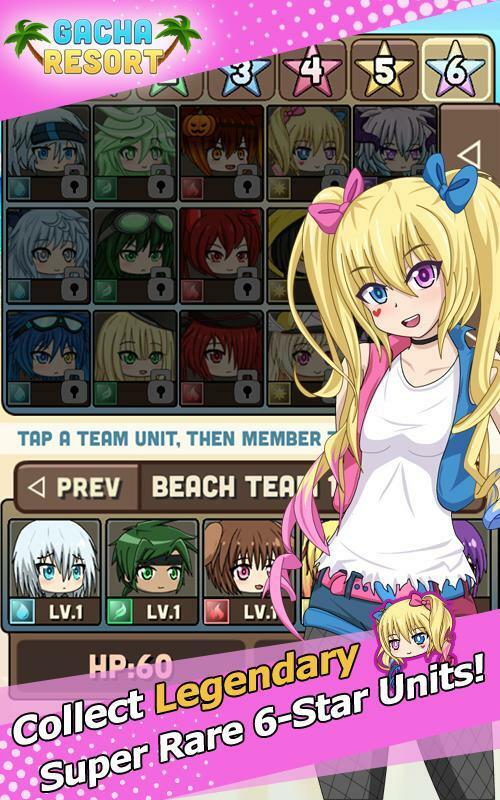 ★ Dress up your units in the hottest bikinis and swimsuits! ★ Free 2 Play! You can farm for Shells and Gems easily! - You must be connected to wi-fi to use the Data Transfer and Visit features. 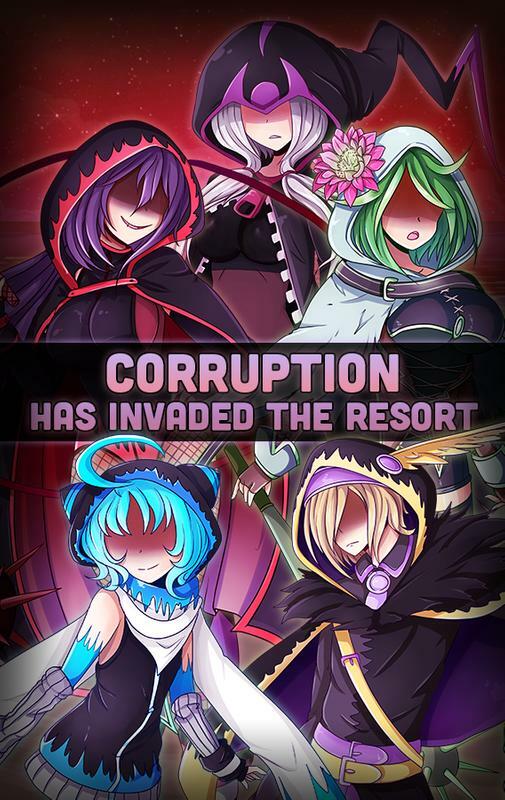 • 25 Contest Winners were added to the Gacha!